The ambition of any given business is to realize profits and register continued growth or expansion. And, if you are in the cleaning service provision industry, a sharp, snazzy, sleekly designed Cleaning Service Logo can help you achieve that fast and quite easily. Such a logo will help give people an idea of the kind of services that you provide. Here is a collection of some great logo designs that can prove to be really inspiring. This colorful, neat logo design looks very enticing. The contemporary logo template can be an ideal design to use for giving identity to a number of cleaning and laundry services providing companies. The fully layered vector EPS and Photoshop PSD files of this logo template are easily editable and customizable. This logo design featuring a brush can be a very nice way of presenting the idea of your cleaning services to clients most appealingly. The vector logo template is layered to enhance editing and customization so that you come up with a style that matches perfectly with your cleaning company. Want to make your company stand out from the crowd? Then, this could be an ideal logo design to consider using. It looks stunningly elegant and easily memorable hence ideal for your cleaning services corporation. You can customize the elements to your taste quite effortlessly. This beautiful logo could be all that you need to present your nature cleaning services provision to target audience in a catchy manner. The logo design template is available for download in AI, EPS and SVG file kinds. It is easily modifiable, scalable and customizable. This logo design featuring a house image can be a great way of presenting the idea of service cleaning to your clients. You can change color and other elements of this fully scalable, modifiable and customizable template. You can obtain it as a vector EPS or AI file. This intricately designed logo featuring common cleaning elements such as brooms can be ideal for use in your cleaning company requiring a unique touch of identity. You can place the name of your company on the logo and modify the other elements to suit your branding needs quite easily. This clean, simple logo template can be a perfect way for distinguishing your cleaning and maintenance company from your direct competitors as it will make your corporation stand out uniquely. You can edit and customize it readily thanks to the template’s well-organized layers. It is available in vector EPS and AI Illustrator files. This creatively designed logo looks outstanding and easily recognizable thanks to its memorable style. It looks elegant especially with its white and black backgrounds. The color and other elements of this logo template can be changed quite easily. It is obtainable as vector EPS and AI files. 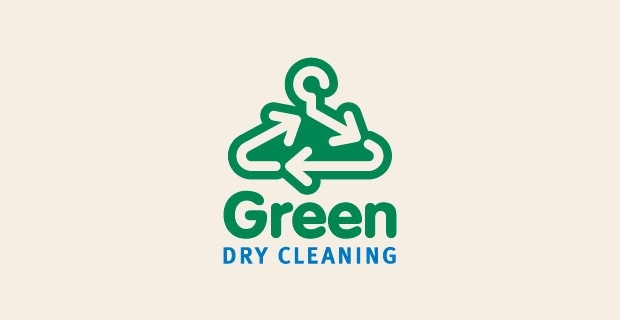 If you are running an eco-friendly dry cleaning service provision company, then this logo design can be a perfect way for depicting the idea of recyclability. Customizing the design to suit your own cleaning company needs is fast and quite effortless. This logo design showing a cleaner holding some of the common cleaning tools comes with an impressive retro touch of uniqueness. The circular isolated background is especially alluring. It can help portray the idea of spotless cleaning services of your company to customers quite perfectly. The above logo designs can undoubtedly be a powerful way of presenting your cleaning and housekeeping company in the most professional manner possible. Make a point of following the appropriate Internal link Anchor text and design an excellent logo that will make people become attached to your company quite instantly.